Louisiana is a place where good times and friends go with alcohol, whether you’re in New Orleans’ French Quarter, Lafayette for ULL Baseball, or Baton Rouge at an LSU Football Game. Louisiana also has high rates for drinking and driving, drivers with no license or suspended licenses, and driving without insurance. Louisiana’s DUI laws are strict, and law enforcement is actively looking for impaired drivers. Police routinely patrol entertainment districts and set up DWI checkpoints on high-volume days – especially holidays and game days, looking for impaired drivers. Pretty much every year, the legislature tightens up perceived loopholes, adds enhancements and aggravating factors, and generally increases the penalties for driving while intoxicated. Operating a vehicle while intoxicated is not limited to cars, but also includes motorcycles, trucks, aircraft, boats, jet skis, ships, or “other means of conveyance” (which doesn’t include bicycles or horses, but probably applies to any motorized device, see State v. Carr, Louisiana Supreme Court, Case No. 99-K-2209). Provide a breath sample showing a Blood Alcohol Content of 0.02 or higher, but less than 0.08. Operating “under the influence of alcohol and” one or more dangerous substances listed in Schedules I-V of Title 40, which includes marijuana, cocaine, ecstasy, LSD, and pretty much every prescription and non-prescription legal drug, and illegal drug. Operating under the influence of drugs that aren’t controlled substances and that are legally obtained with or without a prescription – usually a charge for people who take excessive amounts of over the counter drugs to induce a high. The bottom line is that if you’re pulled over for suspicion of DUI, the officer can come up with a charge, regardless of whether you’ve been drinking or not. Prosecutors can also charge “in the alternative,” so that a driver is charged with DWI by drinking, or maybe by using drugs, but not both (because that would be double jeopardy). Louisiana Revised Statute 14:98 is a statewide ban on driving under the influence. Municipalities often have their own versions of this law, such as Baton Rouge Code of Ordinances 11:140, New Orleans Code of Ordinances 154-381, and so on. All of these local versions are very similar, and a conviction under a local DUI ordinance (or one from another state, or foreign country, or under military law) can be used to enhance a current Louisiana DUI arrest and/or charge. Is DWI a Misdemeanor or Felony? Driving while impaired is an enhanceable offense, so DUI first offense and DUI second offense are both misdemeanors, but DWI third offense is a felony. The enhancement, or predicate, ages out and becomes unusable for prosecution ten years after a person completes their sentence for the earlier DUI. Proving a prior DUI requires the state or city to produce certified records of the conviction, and to prove the last date of a sentence in cases where the predicate offense appears to be “aged out,” such as a minute entry showing termination of probation. Using an article 894 dismissal on a first offense DUI has its advantages, but it doesn’t render that prior DUI unusable for enhancements. An experienced DWI defense attorney will help you to examine your priorities and benefits before recommending sentencing under 894 or other special mechanisms of the Louisiana Code of Criminal Procedure. The “Legal Blood Alcohol Content” is misnamed, because you can be charged with DUI whether you consent to testing or not. The basic legal alcohol limit is 0.08 grams of alcohol per one hundred cubic centimeters of blood, because that’s the point at which the prosecution gets a presumption that the driver 21 years old or older was impaired. The legal limit for underage drinkers is 0.02 – 0.0799, but at 0.08 or higher, they’re generally charged as adults. DWI levels increase based on BAC, so there are enhanced penalties at a BAC of 0.15 or 0.20 or higher (or when there’s a child twelve (12) years old or younger in the car, but that doesn’t depend on BAC). There is no legal limit for marijuana or other narcotics, and drivers who have been using narcotics would do well to avoid any testing of any sort if they don’t want to get convicted. When questioned, drivers often admit using drugs, and then try to minimize their use – this is a losing strategy, and should be avoided. The three standardized field sobriety tests are the horizontal gaze nystagmus, the one leg stand, and the walk and turn. Other tests, such as reciting the alphabet or the Rohmberg test (closed eyes, touch your nose), can be used as well. Field sobriety testing is voluntary, and as a rule, doesn’t help the driver, because although the police occasionally release a driver after field sobriety tests, it is exceedingly rare. The horizontal gaze nystagmus test checks for involuntary eye muscle twitches, and is the one where an officer uses a light or pen to have someone track the stimulus with eyes only. This is a test that only the officer can see the results of, and a driver’s results of an HGN test aren’t shown on a dash camera or other video system. Following the instructions, keeping the head still and using only the eyes to track, is difficult for many people, and failing to follow the instructions is treated as a failure or refusal to cooperate by the police. The one leg stand and walk and turn tests are “divided attention” tests, where the subject is made to do a balancing trick while trying to remember complex instructions. Most people can’t do them while sober, and especially not late at night, while fatigued or with any back, leg, or joint problems. The real point of field sobriety tests is to have the driver build a case against himself or herself. Unless you’re a sober gymnast, and feeling alert, you’re probably better off not taking the field sobriety tests. Likewise, officers sometimes try to get subjects to walk back and forth to their vehicles repeatedly to try and get a longer video sample, in hopes of showing staggering, swaying, or leaning on a vehicle for support, to have evidence of impairment. Polite and uncooperative is the driver’s best strategy if that driver has any doubt about their condition. There is no penalty for refusing a field sobriety test. They are strictly voluntary. There are penalties for refusing to give a breath or blood sample on demand. The basic penalty for refusal is suspension of the driver’s license, for ninety days or more, depending on the age of the driver and a variety of other factors. If you’re arrested for DWI, you have a short period of time, generally fifteen days, in which to request an administrative hearing to contest the license suspension. Although the deck is stacked against the driver in administrative hearings, it’s a chance for an attorney to see what the evidence against the defendant looks like, maybe get a license reinstated, and to help prepare the defendant and his or her lawyer to defend against an accusation of driving while impaired. A driver convicted of drunk driving faces criminal penalties, which increase based on the number of prior DWI convictions and BAC of the driver. The process of arrest and bonding out of prison, itself, is dehumanizing and humiliating. In Baton Rouge, the daily arrests for DUI are listed in the newspaper, and your reputation is affected regardless of the final outcome of any accusations. 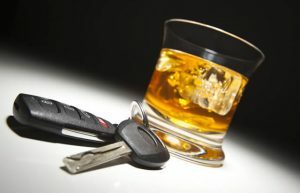 There are minor variations in penalties, depending on whether the arrest and conviction is made under state law or local ordinance, but in general, DWI penalties for a first offense are imprisonment of not less than ten days, nor more than six months, a fine not less than $300.00 nor more than $1,000.00, or both, plus court costs. The jail time is not to be suspended unless the defendant does a variety of community service, usually thirty-two hours, half on litter detail, substance abuse evaluation and/or treatment, engages in a driver improvement program, and (usually) has an ignition interlock installed on his/her vehicle. There are other combinations of jail and non-jail penalties that may be available, or may be negotiable with the Court and/or prosecution. A BAC of 0.15 or higher, or 0.20 or higher, increases the mandatory fines, jail time, and/or driver’s license suspension. Some jail time may be served as home incarceration, under private supervision, which the defendant pays for. Second offense DUI is still a misdemeanor, but the jail time is not less than thirty days, nor more than six months, a fine of not less than $750.00, nor more than $1,000.00 (subject to minor local variations). The requirements to avoid incarceration increase to 240 hours of community service, half on litter detail, driver improvement school, substance abuse treatment, court costs, or some combination thereof. Again, higher BAC means increases in mandatory minimum penalties, as are multiple offenses within a twelve month period. Third offense and subsequent DUI are felonies, and upon conviction of a felony, the defendant is barred from voting, serving on juries, being appointed or elected to most public offices, and cannot own or possess firearms or ammunition. The vehicle driven may be seized and sold. The fine is $2,000.00, and jail time is not less than one year, nor more than five years, which may be suspended in whole or part based on performing community service, and engaging in remedial efforts. DWI is dangerous, not merely because of the criminal penalties, but also because it’s associated with traffic injuries and death. Reckless operation, criminal damage to property, hit and run, vehicular negligent injuring, first degree vehicular negligent injuring, third degree feticide, and vehicular homicide are all charged in conjunction with operating a vehicle while intoxicated, and increase the penalties for DWI in addition to carrying their own criminal penalties. Louisiana has responded to its decades of terrible reputation for highway deaths and injuries by creating a complex structure of offenses and penalties to punish drinking and driving, and encourages vigorous enforcement at the local and state levels. How much does a DWI cost in Louisiana? In general, a first offense DUI carries a fine between $300.00 and $1,000.00, exclusive of court costs or any other traffic violations that are cited along with the DUI. Local custom, and the specific court that a case lands in, will vary that amount significantly. A driver arrested for suspicion of DWI has only fifteen or thirty days in which to request an administrative hearing to avoid a suspension of his or her driving privileges. The suspension can be anywhere from 90 days to a year or more, depending on the age of the driver, and the specifics of the case. A hardship license may be available if driving privileges are suspended, and installing an ignition interlock may allow a defendant to get a restricted driver’s license, but again, these options will depend on the specifics of each person’s case. Expungement of a conviction generally requires that a defendant complete all of the terms of his/her sentence, including paying all fines, and then waiting two years, before filing for expungement. While expungement will take the conviction off of a person’s general criminal history, security agencies, educational employers, and various other agencies can “look behind” an expungement to see what the actual criminal history is. Likewise, many employers, advanced learning institutions, and professional licensing organizations now require applicants to disclose expunged arrests and convictions. Expungement may still be a valuable tool for a defendant, depending on what they want to do in the future, but in a post 9/11 world, privacy is not what it used to be. Sentencing under Louisiana Code of Criminal Procedure 894 (for misdemeanors) or 893 (for felonies) allows a defendant to serve a period of probation, and complete any other requirements of sentencing, and at the end, on a showing of no further infractions, the Court will retroactively dismiss the charge(s) against the defendant. An 894 dismissal doesn’t prevent the charge from being used to enhance future DUI charges, but it may be useful to an individual defendant. Expunging charges and sentencing options are something a person accused of DWI should review with a DWI attorney to determine which methods are cost effective, and will achieve the desired results. 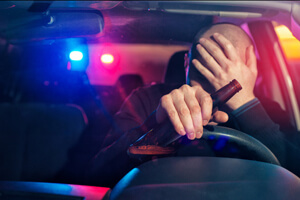 How Can I Fight a DWI Charge in Louisiana? Joseph K. Scott III, has spent years defending and prosecuting underage DUI and adult DUI, and understands how disruptive these accusations can be to a person’s life and livelihood. Joseph Scott will review the city or state’s case with an eye for detail, evaluate the case against you, and advise you on how to minimize the disruption and damage to your life, from driver’s license and OMV assistance to motions, plea negotiation, guidance through pretrial diversion, or trial, and sentencing mitigation. Baton Rouge DUI lawyer Joseph Scott understands how law enforcement and the prosecution work together to put together what looks like an unbeatable case against the uninformed citizen, and how delicate that “unbeatable” case really is. Joseph Scott is also a realist, who will tell you when the case is strong and help you figure out how to minimize the damage or negotiate the best available plea agreement. Some lawyers will tell you they can beat any DUI case – and Joseph Scott has beaten most of those lawyers, at trial, as a prosecutor. Don’t fall for guaranteed outcomes – they don’t exist. Go with someone who’s skilled, knowledgeable, and works hard to preserve your liberty and rights – get Joseph Scott.